the DT90 was the best ball that I ever putted and chipped with. I drove the ball about the same as any other ball. It has a good feel around the greens fast or slow. Contrary to Dufus, who wrote a review based on one found golf ball of questionable quality, I have been playing the DTs since they were introduced. I have only about 6 new ones remaining, since they are most difficult to find. While not as good as the Pro V1s, I hit them as well as the NXTs. I doubt anyone will even read this review, but I didn't want the DT laid to rest without the praise this journeyman ball deserves. I have no idea where i found the ball but i found it. 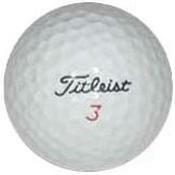 Its a solid ball with a 90 compression obviously. Distance wise its middle of the road 250 or 260 if you catch it right. I really haven't gotten a whole lot of spin out of it, i usually expect 5 to 8 feet of roll out once it contacts the green. The cover is fairly durable haven't had trouble with it. Its an older model ball being that manufacturers don't print compression anymore. I don't know that I'd recommend it but its a solid ball none the less.